A national series of workshops on nuclear energy innovation held last March has resulted in the publication of an executive summary that focuses on nuclear energy concepts that are already conceived, but not matured. At the same time, organizers of the workshop series say that better dialog with industry, including an emerging class of nuclear energy entrepreneurs, would accelerate innovation on a global basis. John Jackson, a Distinguished Scientist at the Idaho National Laboratory, told this blog in a telephone interview that two mechanisms the workshops focused on are the creation of test beds to transition ideas from paper to hardware and building a “talent pipeline” through the Department of Energy’s nuclear university program. Jackson said the discussions are part of a new national conversation on the future of nuclear power. These and other topics were at the heart of the dialogues organized by INL along with Pacific Northwest, Los Alamos, Argonne, Brookhaven, and Oak Ridge national laboratories in partnership with Oregon State, Boise State, University of New Mexico, Ohio State, MIT, and North Carolina State universities. Jackson said the six workshops brought together 125 thought leaders selected from the participating organizations. They focused on four key areas. Another key finding is encouraging the U.S. government to do more to stimulate private sector investment in development and commercialization of innovative and advanced nuclear energy technologies. Jackson said that future dialogs using the workshop model “could produce some pretty interesting discussions” with entrepreneurs like Transatomic Power and Terrestrial Energy. The Idaho lab has already established communication and working relationships with TerraPower. 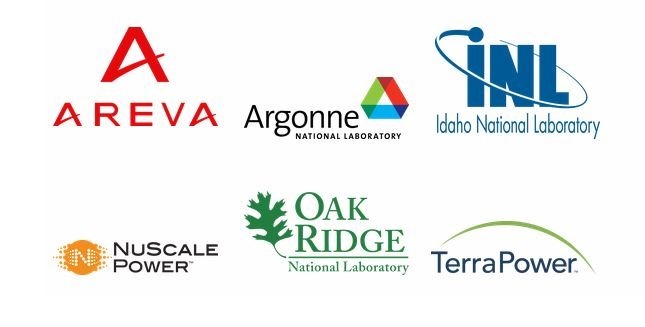 In April NuScale announced it is working with the Idaho lab on the potential use of a small modular reactor for hydrogen production. The Idaho lab currently is home to the Nuclear Science User Facilities, formerly known as the Advanced Test Reactor, which supports nuclear R&D for research on a global scale. Regulatory issues were an important part of the dialog at the workshops. The executive summary report indicates there is interest in utilizing the U.S. Nuclear Regulatory Commission’s research and test reactor licensing process to support reactor test bed projects. As non-power reactor facilities, they would not be subjected to the same licensing requirements as a commercial power reactor. Workshop participants would like to see the DOE have a discussion with the NRC and Congress to find ways to overcome some of the built-in inhibitions to test beds in current regulations. Learning from other industries highlighted an interesting idea. Jackson noted that the workshop report discusses the idea of an X-Prize for nuclear energy. While the report doesn’t say how much money should be awarded or who could provide it, an obvious candidate is for the Department of Energy to offer one in addition to its ongoing use of cost sharing funding for licensing and technical design work on innovative light water reactors, e.g., small modular reactors (SMRs). The X-Prize might keep some ideas at home instead of losing them to other countries. There will likely be future workshops. Focused workshops on several of the emergent innovation themes resulting from this workshop. Examples include development of a national test bed, human resources in nuclear, government encouragement of private investment, improved regulatory development for innovative and advanced technologies, etc. The report summary recognized that learning from other industries is applicable to innovation in nuclear power. It is also recognized that input from those not generally involved in the nuclear industry, or those who are thought leaders in initiatives such as clean energy, may offer valuable insight. A full report is scheduled for publication later this year.